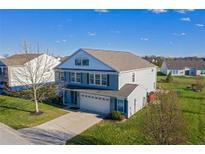 Below you can view all the homes for sale in the Countryside subdivision located in Westfield Indiana. Listings in Countryside are updated daily from data we receive from the Indianapolis multiple listing service. To learn more about any of these homes or to receive custom notifications when a new property is listed for sale in Countryside, give us a call at 480-577-2304. Must see this home pride of ownership abounds! MLS#21632995. 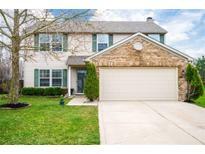 Keller Williams Indpls Metro N.
All located perfectly in a cup-de-security, with a fenced in backyard, in the much desired Countryside subdivision, and Westfield schools district. MLS#21631812. F.C. Tucker Company. The house has a new roof. MLS#21631911. Keller Williams Indy Metro NE. This home will not last long at this price. MLS#21630608. F.C. Tucker Company. BRAND NEW HVAC! Community Pool and Tennis! MLS#21630972. Coldwell Banker - Kaiser. Move right into this well cared home*Great open floor plan with hard to find Master on the Main*Master Suite has double sinks, Garden Tub/Separate Shower and Walk in Closet and much more*Vaulted ceilings in Great Room with Fireplace*Kitchen has new appliances, loads of counter and cabinet space*Screened porch overlooks Large Fenced in Back Yard w/lake view*Finished basement w/plenty of rooms for storage , workshop or hobbies, wet bar and theater room*Newer Custom flooring throughout*Beautiful window coverings* Countryside neighborhood has miles of walking trails, pool and clubhouse*Very conveinient to schools, church and all the shopping. MLS#21630420. United Real Estate Indpls. This won't last homes don't come open for sale in this area very often 3 bedroom 2.5 bath open floor plan with master suite main level freshly painted and move in ready neighborhood pool playground basketball and tennis courts and you are close to Colts training camp MLS#21630086. Complete Real Estate Solutions. Neighborhood features pool, playground, and trails. MLS#21628266. Keller Williams Indpls Metro N.
Close to shopping, dining and Grand Park! MLS#21628938. F.C. Tucker Company. Low Taxes, Minutes from SR 32 and SR 31 which allows for easy access to downtown Carmel, Noblesville and Indy. MLS#21627949. RE/MAX Ability Plus. gas range* basement makes great family room/Recreation room + storage* Paver patio & fire pit. MLS#21626637. F.C. Tucker Company. Interior paint, newer carpet, newer roof. MLS#21618763. GO Real Estate Services, LLC. Entertain on the expansive deck or gather around the fire pit! MLS#21613999. Encore Sotheby's International. Backyard has a Deck and Patio with Firepit. MLS#21613450. Keller Williams Indpls Metro N.
This subdivision offers worry free also access to mass transportation within walking distance, stunning view by the way. MLS#21614101. United Real Estate Indpls.